E3 is in full information mode this Sunday, as the very first screenshots and details for Serious Sam 4: Planet Badass have been revealed, and well, they are sort of badass! 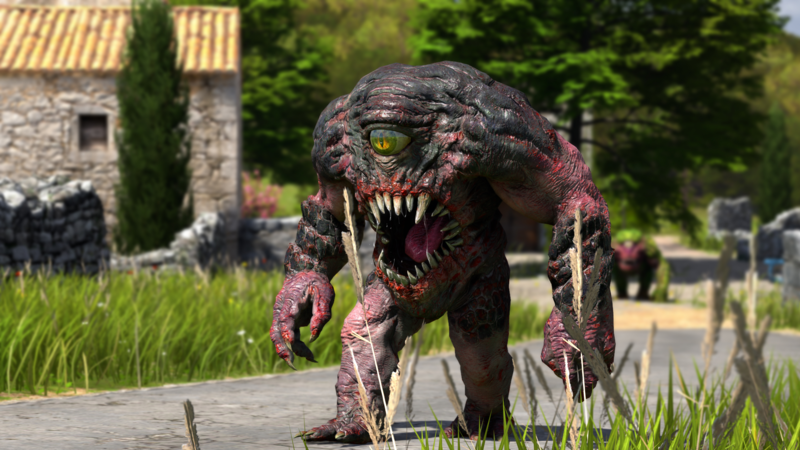 These Serious Sam 4 screenshots give us a good look at some of the baddies that you will have to deal with. The long-standing Croteam series is expanding in a huge way in the fourth iteration while staying true to the run-backwards-and-shoot core gameplay. The game is still a linear experience, but using new Croteam-developed engine tech, the game has expanded to much, muuuuuch bigger environments with legions (no, dude, legions) of enemies you’ll have to wipe out with a variety of insane weaponry. As revealed in the trailer, you’ll have access to vehicles (did you say “bullet proof popemobile”?) and friends – companions will no longer appear only in cut-scenes, they will be taking part of the action. So get ready to get down and dirty with Rodriguez, Jones Hellfire and the rest of the crew. More is set to be revealed this week. What do you think so far of the screenshots? Serious Sam 4: Planet Badass is coming later this year to PC and consoles.